Our project experiece spans industries and disciplines. We've worked with Fortune 500 companies as well as startups and everything in between. Whether you need a mobile app, web application or windows software, you can count on Liquid Development to deliver value to your organization. Scroll down to see a few examples. With the deadline for the implementation of the new government mandated ICD-10 Coding requirements approaching, a leading provider of physician practice management software contact Liquid Development to assist in streamlining the data entry workflow. 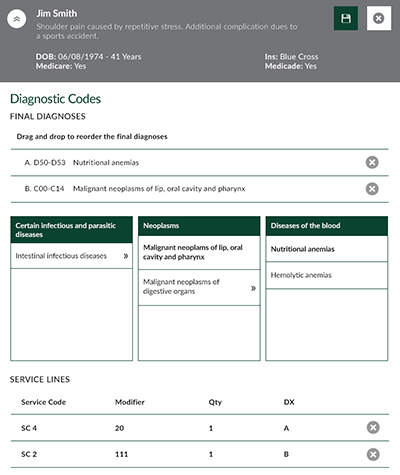 The end result is a mobile application that integrates seamlessly with their practice management software suite, reduces paperwork and streamlines the billing process by allowing physicians to enter the coding information while in the room with their patients. An established leader in the field of forensic consulting services contacted Liquid Development to assist in bringing their outdated client server software to the web and mobile devices. 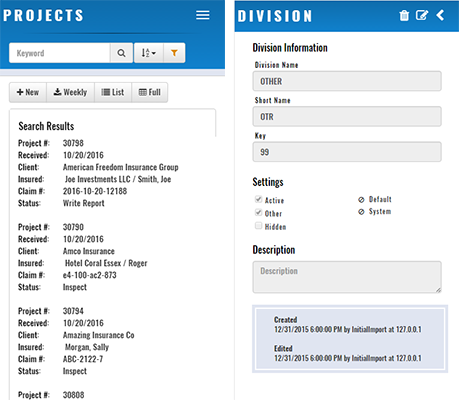 After a thorough review of their needs, a website and mobile application was built to replace the legacy FoxPro database. 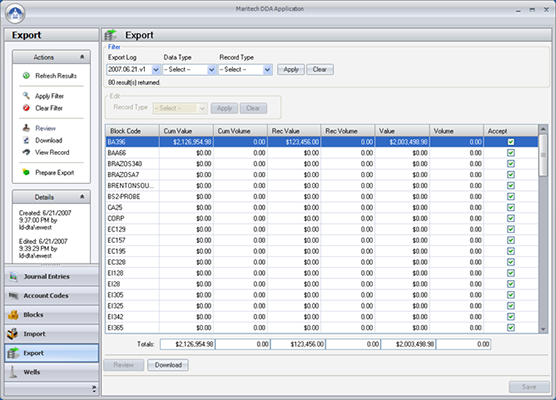 The new application streamlines many of the internal business processes and reporting that used to be managed using Microsoft Excel. This allows the management team to spend less time with administrative tasks and more time growing the business. 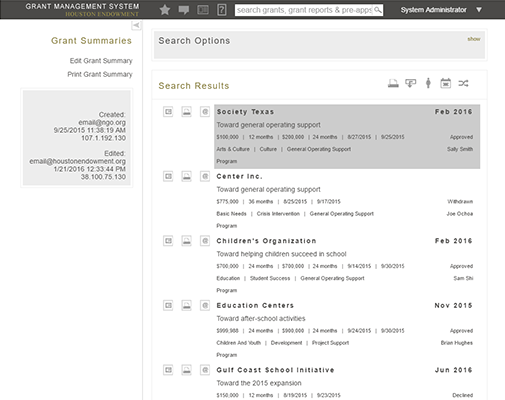 Houston Endowment wanted to move their Grant Application to a web based system in order to streamline and standardize the application and evaluation processes. After a top to bottom review of the existing application process, HEI was ready to move forward. The web based application has been received extremely well by the large base of non-profit users, and the internal processes have benefited from the centralized collection of information and workflow features. 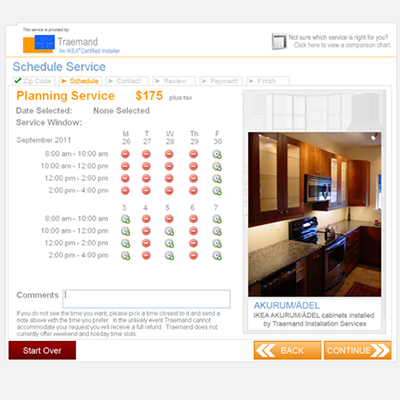 The Traemand Cabinet Installation Kiosk is located in IKEA Stores across the United States. The self-service kiosk allows customers to easily sign up for any one of the cabinet installation and planning services available. The features include the ability to verify service availability by zip code, scheduling a date/time for service, and the ability check out and pay with a credit card. Since launching the kiosk, Traemand Cabinet Installation sales have steadily grown. Silver Eagle Distributors needed the ability to trend sales in the beverage industry to provide a better understanding of their market. 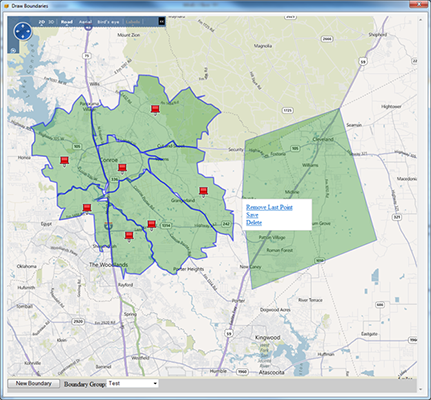 Liquid Development created a system that combines data from various sources into a set of reports. These reports allow the executive team to trend and analyze market conditions resulting in faster response times to ever changing market conditions. Maritech Resources needed an application to compliment their existing Oil & Gas Accounting system that would enable them to be compliant with Sarbanes-Oxley. Their system for calculating Depreciation, Depletion and Amortization (DD&A) worked perfectly, but consisted of a series of Excel spreadsheets that could not track changes in a manner that auditors were comfortable with. The solution was a client server application that imports data from the Oil & Gas accounting software, allows users to make changes, approve changes, perform calculations and send the data back to the accounting system. The entire process keeps logs of what data is changed and by which users so that the auditors can print out a simple report to see the necessary audit trail.